Currently viewing the tag: "Simon Zutshi"
Last week Simon Zutshi ran a no cost webinar all about professional deal sourcing and packaging, an important area for property investors to focus on. It was a very popular and oversubscribed webinar that generated some fantastic feedback and so as a bonus opportunity PIN are going to run it again this Saturday 22nd November 2014 at 11.30am. This time the guest presenter will be Gavin Barry, who as well as being a PIN meeting host is a very experienced and successful deal packager. To register for this webinar all you need to do is click on this link now and PIN will email you with the webinar joining instructions. As long as they are good deals you could potentially package them up to sell to another investor and make thousands of pounds per deal. Simon has asked Saj Hussain to host this webinar, in which Gavin will explain how most property investors get deal packaging wrong and miss out on thousands of pounds of potential extra revenue. To reserve your place on this webinar, all you need to do is click on this link now and register your details, then an email will be sent to you with the webinar joining instructions. Join Saj and Gavin at 11.30am on Saturday morning, it could be the most important webinar that you ever attend, and all from the comfort of your own home! PS PIN only have capacity for 500 people on this webinar so click on this link now to secure your place. Becoming a member of the PIN Academy private members forum has its advantages, often there is exclusive content, features and special offers only available to members and today is no exception. Tonight, (Monday 20th October 2014), at 9pm (GMT) there is a no cost webinar with Trushant Bodani, PIN Academy’s very own Deal Doctor, who can offer property investors in depth help and advice so that they can better understand how to make more money from the property investment deals that are currently available. This webinar is exclusive to PIN Academy members and all you need to do to register is join the PIN Academy and webinar joining instruction will be emailed to you as soon as your payment is processed. So why should you join the PIN Academy and be able to take part in the live webinar tonight? There has been a massive increase in the number of people who want to get into property investing and profit from property, as UK house values continue to climb. The Government announcement allowing people to decide for themselves about what they wanted to do with their retirement funds, has sparked a huge increase in property investing. 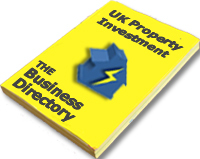 MPPT are always striving to bring you the best information about the opportunities that are happening within the property investment community and today is no exception! There are hundreds of different strategies that investors can utilise, you have to decide which one suits your needs, as each different strategy has its own merits, risks and rewards. For this reason we thought it would be a great idea to get people to join us on the PIN Academy so that they can discover for themselves what other successful property investors are doing. Private Members Only Forum Saves Property Investors Time And Makes Them Money! Once you have joined, you can introduce yourself and make connections with thousands of successful property investors. PIN Academy members often make the most of the discussions and opportunities that other property investors are talking about, using, profiting from and sharing with others, making monthly membership terrific value for money. This Saturday 26th April PIN Academy are running a full day of useful and informative webinars for property investors to get their teeth into, and I for one will be listening in taking plenty of notes because what is going to be shared is pure gold! You can register for the full day of webinar’s once you have joined PIN Academy, then choose which one you want to attend. 9.30am to 11.am – Mould To Gold with Yvonne Emery. Find out how to find and renovate nasty properties and to turn them from Mould to Gold. With options you can gain cash flow and equity growth from property which you don’t own, which means no need for big deposits or mortgages. 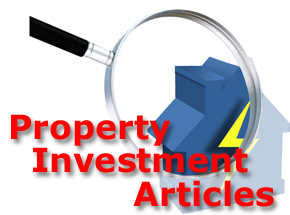 Regarded as one of the fastest strategies to gain quick cash flow from multi let properties without owning them. How to use technology to save yourself time and effort by automating your rent collect & late paying tenants follow up system. First time this has been shared with anyone! To register, join PIN Academy by clicking the banner below and once you have signed up, please go to the Webinar section within pin Academy and follow the instructions. See you on the webinars tomorrow! Members Only Forum Worth Its Weight In Gold! PIN Academy Membership Really Is Worth Its Weight In Gold! I have been a member of Simon Zutshi’s PIN Academy for over 12 months now and in that time I have read some fantastic informative and motivating content and engaged with so many thought provoking discussions and witnessed property investors joining forces to do property deals, it is amazing. The PIN Academy is a very active community of property investors and industry experts gathered in one place and the topics covered vary from questions seeking advice to offering some superb property opportunities to other interested parties, a really rich and diverse mixture.